With the nomination of Ernest Moniz to be the next U.S. secretary of Energy, President Barack Obama has selected a man who is not only a booster of nuclear power but a big proponent of fracking, too. What happened to Obama’s call for “clean” energy in his 2013 State of the Union address? 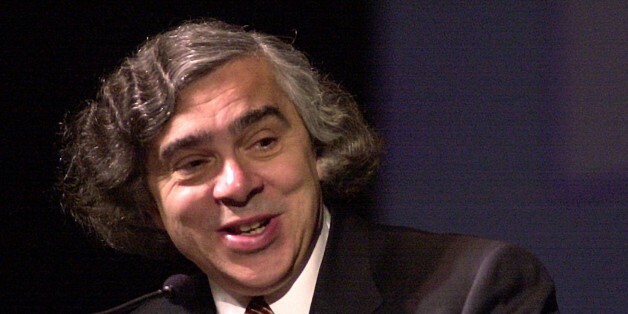 Moniz, a physicist and director of the MIT Energy Initiative, heavily financed by energy industry giants including BP and Chevron, has long advocated nuclear power. He has continued arguing for it despite the multiple meltdowns at the Fukushima Daiichi nuclear plant complex, maintaining that the disaster in Japan should not cause a stop in nuclear power development. Moniz went on: “Nuclear power’s track record of providing clean and reliable electricity compares favorably with other energy sources.” Foreign Affairs is the publication of the Council on Foreign Relations, which regards itself an elite grouping of government officials, industry executives, scientists and media figures. Moniz is a member. Likewise, when it comes to hydraulic fracturing or fracking—the process that uses hundreds of toxic chemicals and massive amounts of waster under high pressure to fracture shale formations to release gas captured in them—Moniz told the Senate Energy Committee in 2011 that the water and air pollution risks associated with fracking were “challenging but manageable” with appropriate regulation and oversight. Fracking also can also lead to radioactive contamination. Many shale formations contain Radium-226 and other radioactive poisons unleashed in the fracking process. It’s not as if Obama wasn’t warned about Moniz. For weeks, as reports spread that Moniz would be replacing Obama’s first energy secretary, the also staunchly pro-nuclear power Steven Chu, former director of Lawrence Berkeley National Laboratory, the organization Food & Water Watch circulated an online petition for people to send to Obama. It stated: “This is not the person we need as our country’s Energy Secretary at this critical moment. We need a visionary leader who can enact policies that move us away from intensive fossil fuel extraction, such as fracking, and toward a renewable energy future.” Other groups circulated similar petitions. And it’s not as if Moniz was unfamiliar to Obama, or Washington. He has been a member of both Obama’s Council of Advisors on Science and Technology and Obama’s Blue Ribbon Commission on America’s Nuclear Future. And he was an undersecretary in the Department of Energy in the Clinton administration. Nevertheless, in his first State of the Union speech he spoke about “building a new generation of safe, clean nuclear power plants in this country” and kept repeating that pitch. But in recent times, in the wake of the Fukushima disaster, Obama has increasingly avoided using the words nuclear power—he didn’t refer to it at all in his State of the Union address this January. Instead he has let Chu, and will let, if he is confirmed, Moniz, do the talking about nuclear power and pushing it as an energy source for the United States. Karl Grossman is the professor of journalism at the State University of New York/College at Old Westbury. Karl is also the author of Cover Up: What You Are Not Supposed to Know About Nuclear Power and other books on nuclear technology, as well as hosting numerous TV programs on the subject including Chernobyl: A Million Casualties, Three Mile Island Revisited and The Push to Revive Nuclear Power.